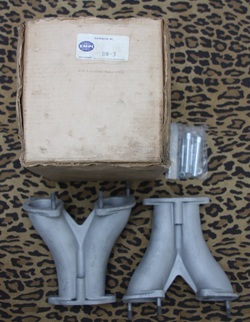 IDA Manifolds, used but real nice, unported and come with original box and the super rare middle stud fitting kit. These turn the IDA, the opposite way round to most modern manifolds putting the fuel inlet on outside away from the shroud. Un-ported, no repairs, good condition. Genuine Race-Trim sump, painted red, but no signs of damage. This is the real thing, not a modern rip-off. Sometime in the past a previous owner decided it was a good idea to cut off the mounting tabs!!! Easy repair, but price reflects condition. Pulley has been fitted to an engine, but is like new condition and comes with original box, which you never see now. NOS DDS Cams, 2 different grinds. Super rare, genuine DDS Full-Flow oil pump. Lovely set of 88's, everything brand new still with protective coating on all the parts. Real nice high quality set of Pistons and Cylinders. Perfect for that 'real old school cal-look' period engine. Another rare period correct old school piston and cylinder set. Beautiful condition, as to be expected from a original boxed NOS quality parts. 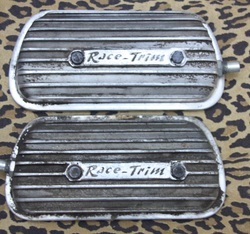 Pair of Treuhaft Valve covers. 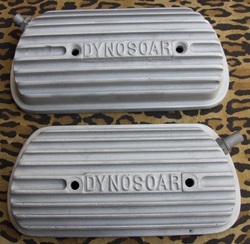 Real nice pair of raised logo Race-Trim Valve covers. 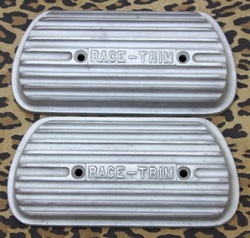 Pair of engraved logo Race-Trim valve covers, come with hardward/fitting kit. 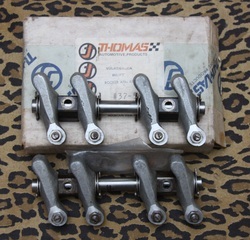 Pair of Aluminium ratio rockers, NOS, come with box, fitting kit, etc. Sold by Thomas Automotive Products. NOS Engine oil heater, after-market accessory for cold climate areas, complete with fitting kit, boxed. A cool accessory (we use a version of this to pre-heat the oil on race cars) 110volt. DDS power pulleys, both regular not sand seal, degree ring slightly marked on left pulley in picture but both nice useable pulleys. 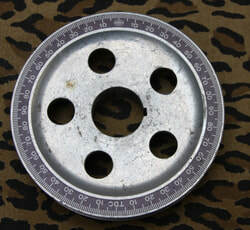 Smaller power pulley size pulley. 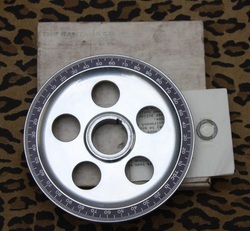 Very similiar to Santana pulley, but has Empi logo degree ring. 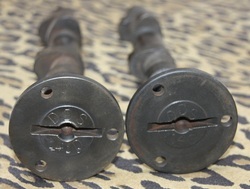 Pair of Empi linkage pieces for IDA carburetors. 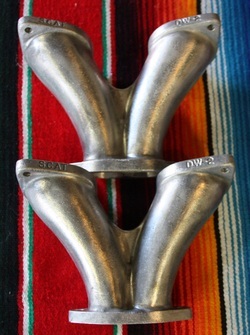 NOS Short IDA Manifolds, look very similar to S&S, perfect in every way as NOS should be. 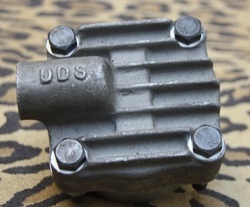 Empi Oil Pump for early style cam. 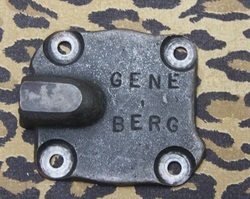 Oil Pump is damaged, could be used with the modern BugPack casing and gears, or just cool display item.